Spray waffle maker with cooking spray. 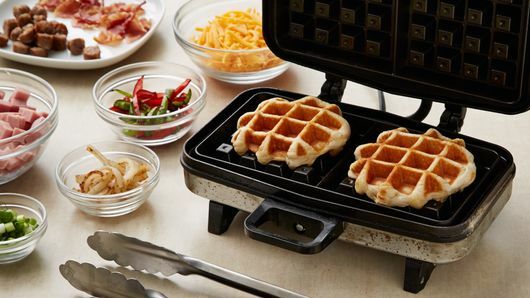 Heat waffle maker. Separate dough into 8 biscuits. 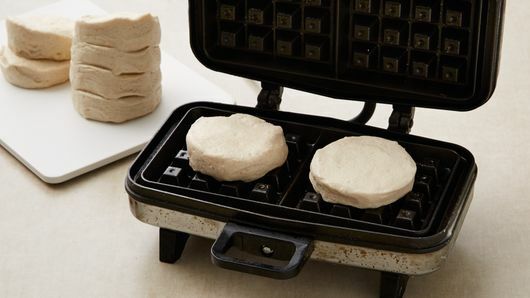 Place biscuits on waffle maker in batches. 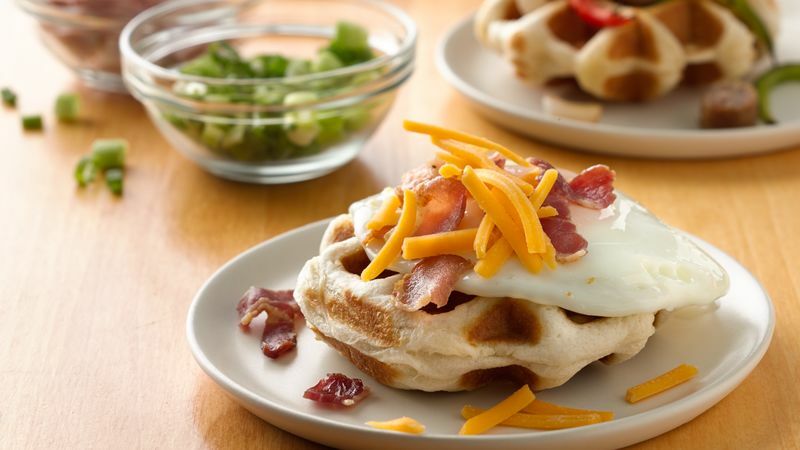 Close waffle maker; cook 2 to 4 minutes or until golden brown. Serve immediately with toppings as desired. For a sweeter treat, top waffles with maple syrup, jam or bananas and peanut butter. Waffles can be wrapped and frozen up to 1 month. To serve, toast in toaster until thoroughly heated.